You are here: Home / Market Trends / IIoT Cybersecurity – Barrier or Boost? 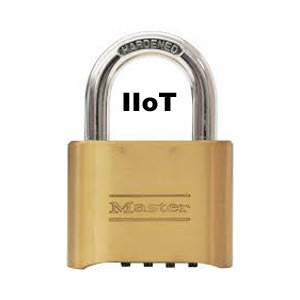 IIoT Cybersecurity – Barrier or Boost? The Industrial Internet of Things (IIoT) is a significant trend in manufacturing technology today, revolutionizing the way users and machines interact. Devices such as sensors, robots, mixers and medical devices are increasingly more connected. With this open connection comes an increasing cyber security threat. The ultimate goal of a cyber-secured IIoT system is to ensure that the connected devices and programs operate securely while meeting business requirements. Unfortunately, cybersecurity can be seen as both a barrier and a boost to the adoption of IIoT. The good news for manufacturers is that many security experts agree that the Industrial IoT is largely more secure than its consumer-devices counterpart. Vulnerabilities, however, still exist. Businesses need to tighten those gaps if they want to protect the heart of their operations. “Manufacturers will need skilled IT professionals to keep their IIoT processes safe, according to security experts. Cybercriminals relish the thought of bringing companies to their knees by stealing intellectual properties, such as manufacturing designs. And as more companies use vulnerable IoT to make products, hackers have a better chance of shutting down a company’s manufacturing line for financial gain or pure sabotage,” Writes Albert McKeon on Techtarget.com. A Deloitte survey of 225 manufacturing industry cyber risk executives found that 45% of them used sensors and smart products, but, overall, only half of them had isolated or segmented their ICS networks. Until security standards take hold, IoT and Industrial Control Systems (ICS) will remain vulnerable and will leave hackers plenty of wiggle room, said Deloitte’s Peasley. Needless to say, manufactures have time to ensure the newer smart products they implement meet stringent security standards and that older ICS devices can be isolated from network attacks. Robolution: A Blessing or a Curse?